Keep the electrons where they belong! This short harness allows near plug'n'play upgrade from the older 4-pin Voltage Regulator / Rectifier to the improved 5-pin design. Simply plug the male 4-pin connector into the stock harness, plug the 6-pin connector into the new VRR, and run the 12-ga ground wire back to the frame ground lug (follow the black wire from the battery negative terminal). Standard live length is 1" between connectors; longer units can be made for a price adder of $5 per foot or fraction (please use the special instructions field in the shopping cart). 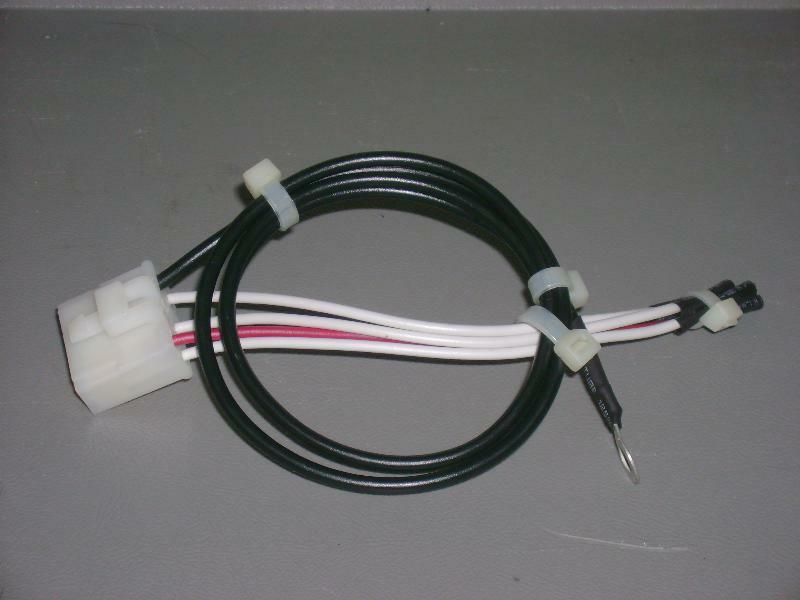 We are also offering a 6" pigtail connection, 16 Gauge in Red and 3x White, with the same 36" 12 Gauge Black ground wire featured on the harness for those who prefer to clip the OEM plug and solder in a replacement. 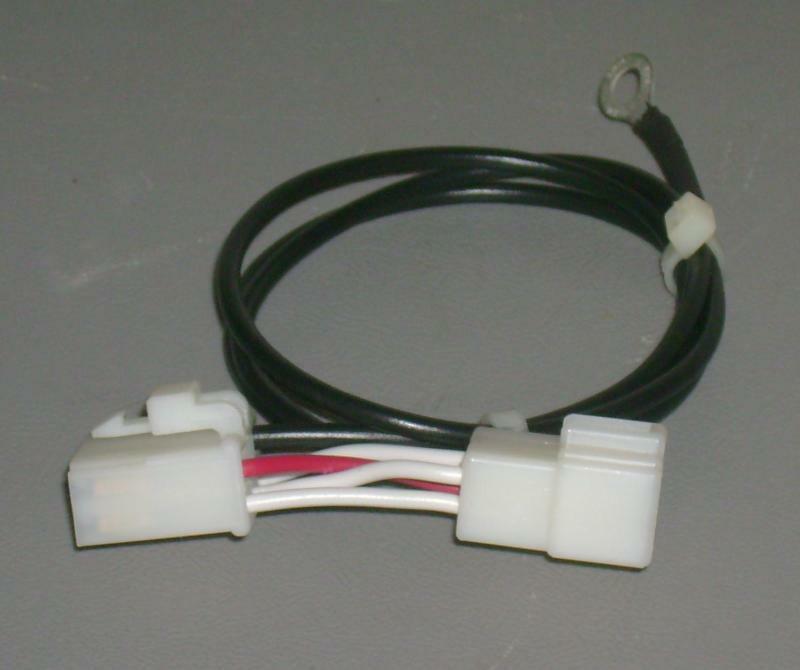 This may be of interest to those who've already modified their harnesses with individual female spade connectors, or for those whose OEM 4-pin connector was destroyed by the failing VRR. These adaptors work with almost any Yamaha 4-pin VRR, and allow the old part to be replaced with Yamaha part numbers 4JH-81960-00 or -01, or 5SL-81960-00. I've seen info suggesting it will also work with a 5FL-81960-00 or 5KP-81960-00, but I can't confirm this at this time. It will work with any 3-phase 'shunt' regulator with the same pin arrangement. Make sure the +12v wire (normally Red) is in the lower right corner of the wire connector, looking at the wires going into the plug. If yours has the red wire in a different spot, it's easy to swap the wires around - let us know and we'll do it for you at no charge. 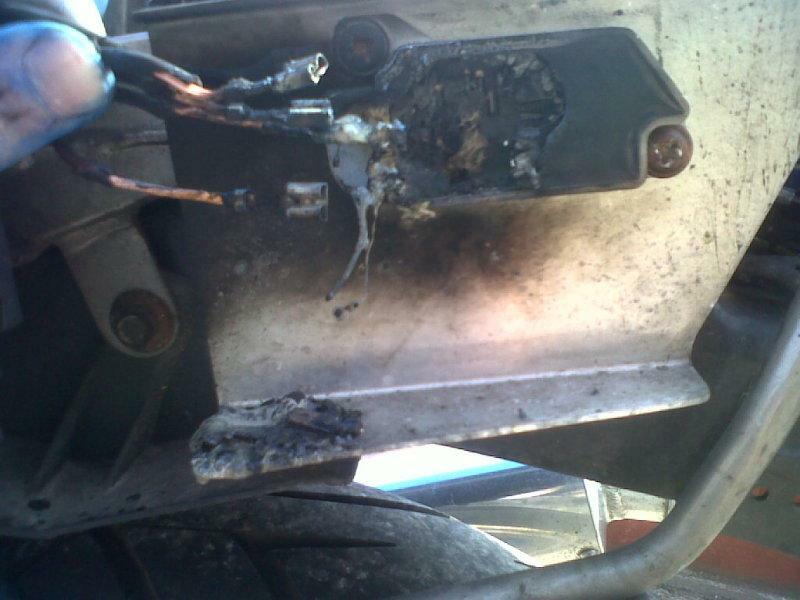 The 4-pin voltage regulator / rectifier on the FZR400/600 has a critical design flaw, and can be the cause of expensive repairs. Upgrading to the newer 5-pin or 6-pin VRRs is a common modification, and this adaptor makes it easy.